Your flowers will be delivered by LBC Express or DHL. The package is going to be delivered by our trusted courier, LBC or DHL. Your flowers will arrive hand-wrapped with care in our signature boxes, specially crafted to ensure freshness during transport. Hampers and gifts will arrive in handcrafted boxes specially made by our team. Fresh from our Farm to your homes. Our flowers are grown in our farm in Dahilayan, Bukidnon, and grown and harvested with a strong commitment to sustainable and biodynamic practices. Our farmers pick them fresh everyday and ship them to our distribution center in Makati, Metro Manila. There, they are cleaned and screened for quality before being arranged and hand-wrapped with care, and then boxed for delivery to your recipient. Throughout their trip from our fields to our distribution center, to your recipient, we do our utmost to ensure the quality and freshness of the flowers. The flowers are kept cool, well-hydrated, and in shape. Your flowers should remain fresh for at least 5 days, but you can even make them last longer with proper care. A complimentary flower care tip card is included with every flower order. Your flowers come pre-arranged in the box. Your recipient will only have to unwrap the bouquet, cut the stems underwater, and drop it in a vase with water. He/she may also prefer to arrange it to add his/her personal touch. We can deliver to almost all areas nationwide. My Flower Depot flowers and gifts are individually boxed in our distinctive boxes and delivered FREE of CHARGE to Philippine destinations nationwide. We currently use LBC and DHL for our product shipments. Some remote areas are not serviced by our trusted courier, to check if we deliver to your recipient's area, please view our list of Delivery Areas, call us at 632-8140854 or 0917-6731947 or email us at myflowerdepotinc@gmail.com or flowers@myflowerdepot.com. Note that there are restrictions on some products, and some products cannot be shipped to nationwide destinations. Our flowers are picked fresh from our farm and shipped to our distribution center in Metro Manila. Here, we clean and screen the flowers for quality. The flowers are then carefully arranged and wrapped, and then boxed in our exquisite boxes for shipment or delivery to your recipient. Our flowers are always kept fresh, cool and well-hydrated. As our flowers are grown sustainably, without pesticides or chemical fertilizer, they are more vibrant and last longer. With proper care, your flowers will remain fresh for at least 5 days. Order by 4:00 PM Philippine Time Monday thru Friday On Saturdays, order by 12:00 PM Philippine time for delivery on Monday. There are some areas that are need at least 48 hours for delivery. Please refer to our list of areas that require 48 hours. For these destinations, you will have to place your order at least 2 days prior to the intended delivery date. Exceptions to Next Day Delivery: Delivery is NOT AVAILABLE on Sundays for Metro Manila and Provincial Destinations, and on Mondays for Provincial Destinations. Please note that for Mother's Day we will be delivering on SUNDAY. Cities that are not part of Metro Manila are considered provincial destinations. If Recipient is not available. For residential deliveries, if the recipient is not available at the time of delivery, the delivery person may leave the package with a person claiming affinity to the recipient. Alternatively, the delivery person may leave the package in a safe place for the recipient to retrieve when they return or attempt delivery the next day. For business deliveries, if the recipient is not available to accept delivery, the delivery person may leave the package with the receptionist, security guard or lobby attendant. If the business is closed or not accepting deliveries, delivery will be attempted the next business day. Please note that in cases of repeat deliveries, we will be charging a $10 surcharge. To honor our satisfaction guarantee, the recipient may be called to schedule delivery in some cases. Please note during peak delivery holidays, such as Valentine's Day, Mother's Day and Christmas, our courier does not guarantee a delivery time. Normal delivery times vary, but most packages will be delivered no later than 6pm.Our courier does not offer delivery on Sunday or major holidays. We have no control over weather related or natural disasters and as such, we cannot guarantee timely delivery during these unforseen circumstances. A $10 surcharge will be made for repeat deliveries when the inability to delivery the first time was due to the unavailability of the recipient, wrong or incomplete address, or other reasons not attributable to Flower Depot. We only ship within the Philippines. Some product add-ons, hampers or cakes require special handling and are only available for Metro Manila. We are not responsible for unsuccessful deliveries arising from the recipient not being present at time of delivery or incorrect addresses supplied by the sender. To make a claim, please email myflowerdepotinc@gmail.com between the hours of 9am to 4pm, Monday thru Friday, Philippine Time. You can also login to your account, view the order using the "Complete Orders" link under the My Account menu and click the Return Item(s) button. We'll notify you via e-mail of your refund once we've received and processed the returned item. Upon receiving your flowers, please follow our Floral Care instructions in your package. To report any problem with your flowers, please email us at myflowerdepotinc@gmail.com or call us at 32-8140854 or 0917-6731947 within 7 days of delivery. We guarantee our flowers to arrive fresh, if this is not the case, please contact our team within 7 days from delivery date. If you have a complaint about an add-on (vase, bear, chocolates, or balloons), please email us at flowers@myflowerdepot.com or call us at 32-8140854 or 0917-6731947 within 7 days of delivery. The items should be in good condition and the package should arrive complete. If this is not the case, please contact our team within 7 days from delivery date. If the return is a result of our error, we can either send you the incomplete item or if you request, will reimburse the full cost of the broken/incomplete add-on. *If any flower item is a result of our error, the full cost of the merchandise may be refunded. You should expect to receive your refund within four weeks. However, in many cases you will receive a refund more quickly. This time period includes the it takes for us to process your return once we receive your complaint (3 to 5 business days), and the time it takes your bank to process our refund request (5 to 10 business days). Due to various seasonal and regional conditions, and the variety of unplanned issues courtesy of Mother Nature, availability of some flowers for Philippine flower delivery may be very limited in certain areas. Also, specific flower varieties or colors may not be available for to send to the Philippines on a specified day. 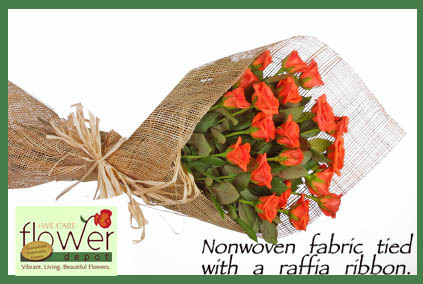 Therefore, it is possible that the exact bouquet pictured or requested may not be available for Philippine delivery. Additionally, due to volume constraints, some Philippine gifts products may not be available at the time of order. Therefore, it is possible that the exact products pictured may not be available. In this event, we will deliver a second choice of similar flowers and container of equal value and beauty. Every effort will be made to maintain size, shape, and overall color schemes of an arrangement, but there may be some variance due to designer interpretation. In single variety arrangements, variety will take preference over color. In the case of non-flower products, we will deliver a of similar product of equal value and quality. Our goal is your complete satisfaction, rest assured that every effort will be made to provide an arrangement of equal or greater value.